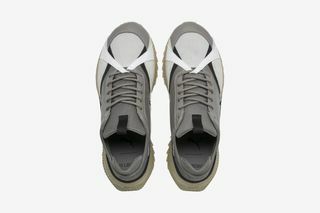 Key Features: The Avid HAN is constructed using premium soft leather with mesh underlays. 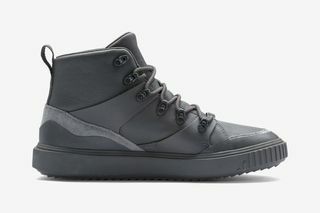 Raw vintage suede, leather, and nubuck overlays come in both a steel gray and white colorway. 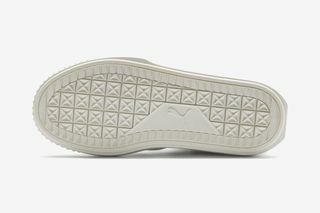 A chunky midsole with a spiked tread rounds out the look. 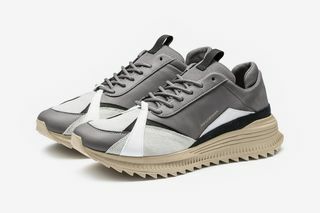 Premium soft leather and mesh make up the Trailfox Disc HAN’s upper, while raw vintage nubuck and leather overlays add some definition to the design. 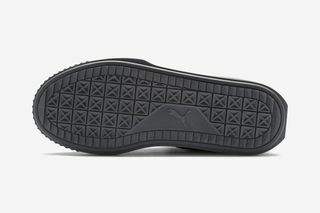 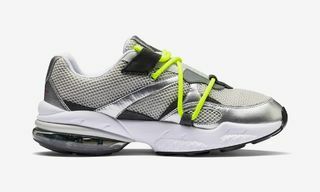 The sneaker features PUMA’s Disc laceless technology, as well as a chunky, trail-inspired midsole. 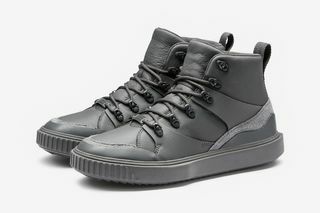 The Breaker Mid HAN is a mid-cut boot with elevated features crafted using premium leathers with thick rubberized overlays on the toe, quarter panels, and heel support. 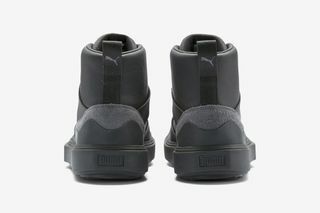 Metal boot lace hooks complete the look. 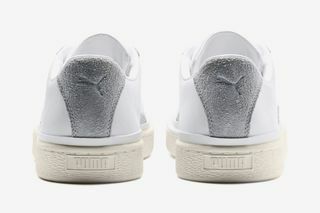 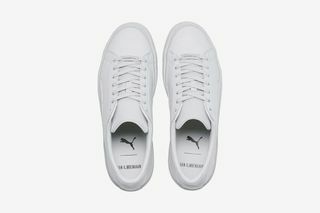 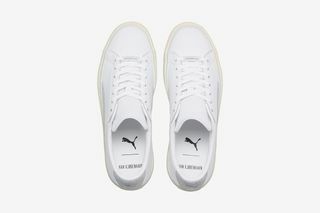 The Basket HAN is PUMA’s classic court silhouette with a premium soft leather upper and raw vintage suede overlays. 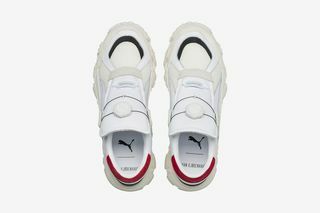 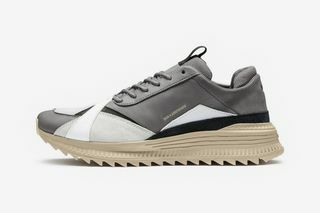 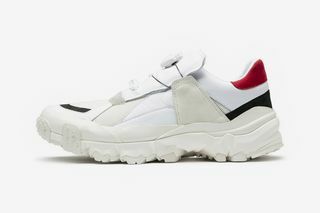 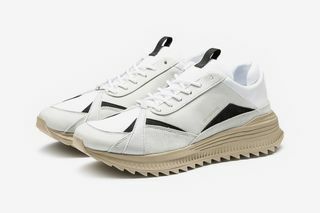 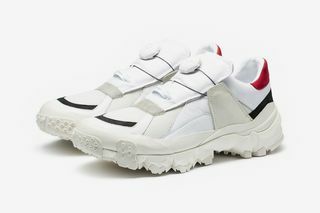 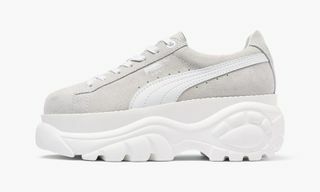 Editor’s Notes: Han Kjøbenhavn personifies Scandinavian simplicity and functionality, as seen in its latest collaboration with German sportswear giant PUMA. 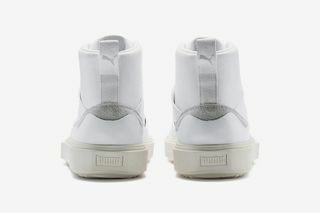 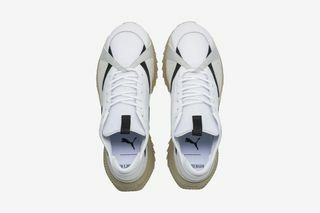 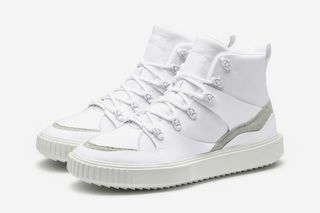 Working together now for a third season, the HAN x PUMA collection comes with four silhouettes: the Avid HAN, Breaker Mid HAN, Trailfox Disc HAN, and Basket HAN. 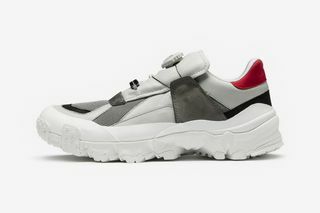 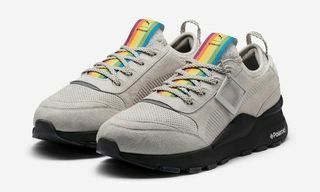 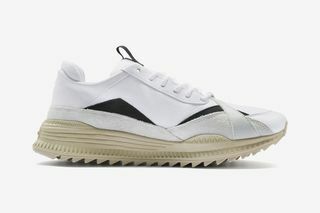 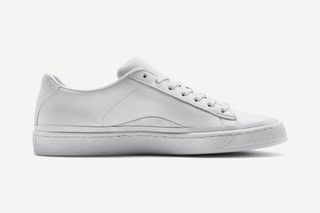 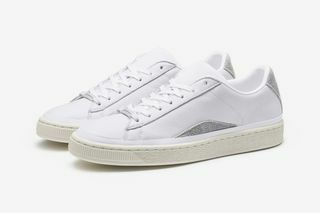 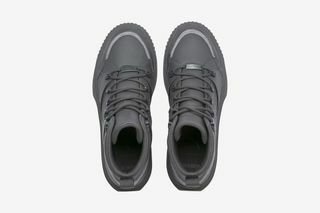 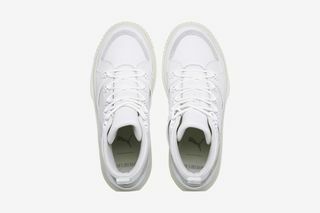 Each of the sneakers features a premium soft leather upper and keep things simple, letting the quality materials and muted colorways speak for themselves. 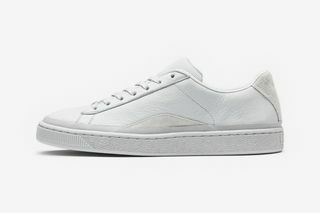 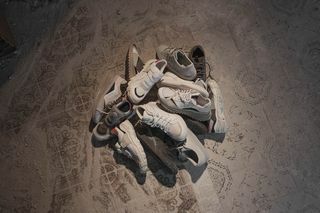 All four silhouettes come in two tonal colorways: white and gray. 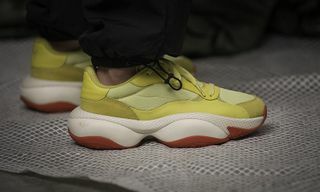 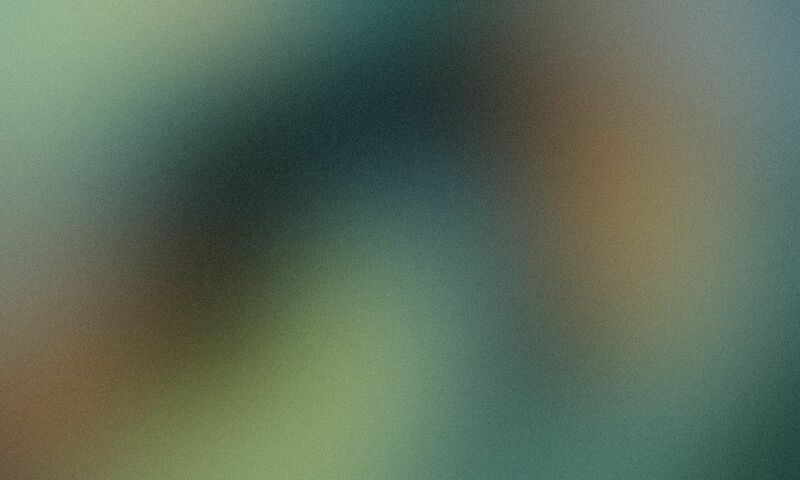 The inspiration for the project is the interiors of products, which has led to raw materials and details being at the forefront of the “inside-out” aesthetic seen in the campaign imagery above. 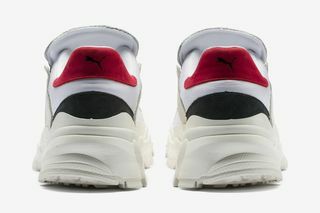 In addition to the sneakers, the collection comprises a PUMA x HAN bomber, PUMA x HAN track pants and top, a sweater, long-sleeve T-shirt, pants, hat, bag, and crewneck. 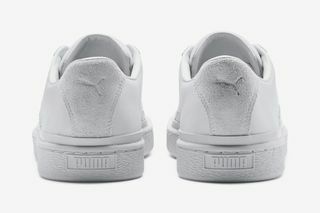 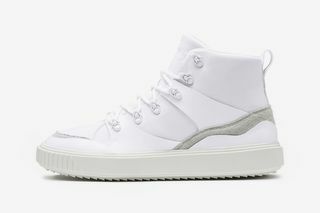 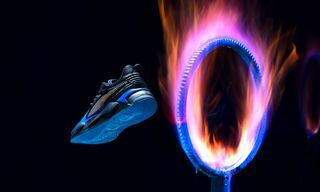 The capsule’s global release is on September 15 via PUMA’s website and at select retailers.